If you already have your skin and body "Spring Ready"
skin (and work their magic). If SPF creams irritate the delicate skin surrounding the eye area - it may be due to the chemicals causing a reaction. Instead try unscented mineral sunscreen (containing zinc oxide and titanium dioxide) or a gentle Baby Sunscreen. When travelling by air - slather on the SPF 45+ and avoid the window seat. 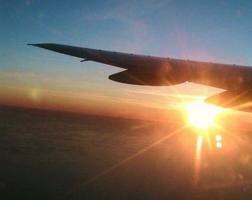 As altitude increases so does the level of harmful UV rays. (Apply sunscreen 30 minutes prior to boarding the plane). 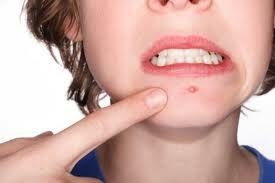 To help avoid chin and cheek acne breakouts (not to mention viruses and germs in general) - clean your cell phone daily. 30% of viruses from your phone get transferred to you as you touch it and as your phone lays against your face. Clean your office and cell phone with antibacterial wipes. Natural antibacterial hand wipes are a better and environmentally friendly alternative. Natural hand wipes are paraben-free, biodegradable, and use 100% plant-based essential oil ingredients to kill germs. triclosan – can contribute to the development of antibiotic-resistant superbugs. To remove stubborn stains in nails - soak in warm water, and baking soda for 5 – 10 Minutes. 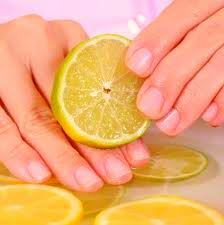 Follow up with a buffing of nails with fresh lemon slices. The natural oxidizing agents help to remove stains. To condition nails - Soak nails in small glass dish, filled with 2-3 Tbsp virgin olive oil (warmed) and ½ lemon (juice) for 10 minutes. Rinse + pat dry. Cancel out blemishes - with a dab of honey. 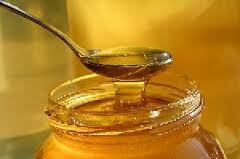 All natural honey contains phytochemicals that provide powerful antimicrobial and anti-inflammatory properties. These qualities make it an effective treatment for zapping blemishes and reducing inflammation as it helps to speed up the healing process in skin cells and fights infection. Dab a small amount of honey onto affected area after cleansing skin in the evening and repeat nightly until skin is clear. Awesome tips! Who knew honey was not only yummy but powerful too? !